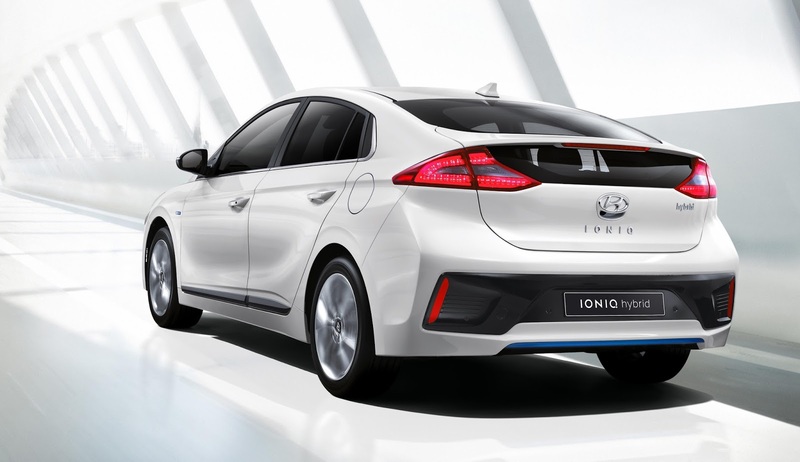 The 2017 Hyundai Ioniq will make its official North American debut at the 2016 New York auto show. Available as a standard hybrid, plug-in hybrid (PHEV), and as an EV, the 2017 Ioniq is aimed directly at eco-conscious cars such as the Toyota Prius. Hyundai will also do a live stream the car’s North American debut. 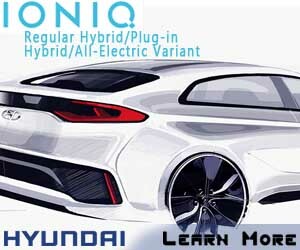 Unlike the Prius, the 2017 Ioniq comes with a more conventional powertrain configuration that mates a 1.6-liter direct-injected I-4 to an electric motor backed by a 1.56-kWh lithium-ion battery for a combined output of 139 hp and 173 lb-ft of torque. Hyundai has also ditched a CVT in favor of a six-speed dual-clutch automatic gearbox for a more involving driving experience. PHEV variants of the Ioniq feature a larger 8.9-kWh battery, giving it an estimated electric only range of up to 31 miles. The all-electric Ioniq EV, on the other hand, features a 28-kWh lithium-ion battery that will deliver a range of up to 155 miles per charge and is paired to an electric motor that produces 118 hp and 217 lb-ft of torque. Safety features such as autonomous emergency braking, lake keeping assist, adaptive cruise control, rear cross-traffic alert and blind spot warning will be available in all three variants of the Ioniq. The entire Ioniq range will also receive Hyundai’s latest infotainment system featuring Android Auto and CarPlay integration.